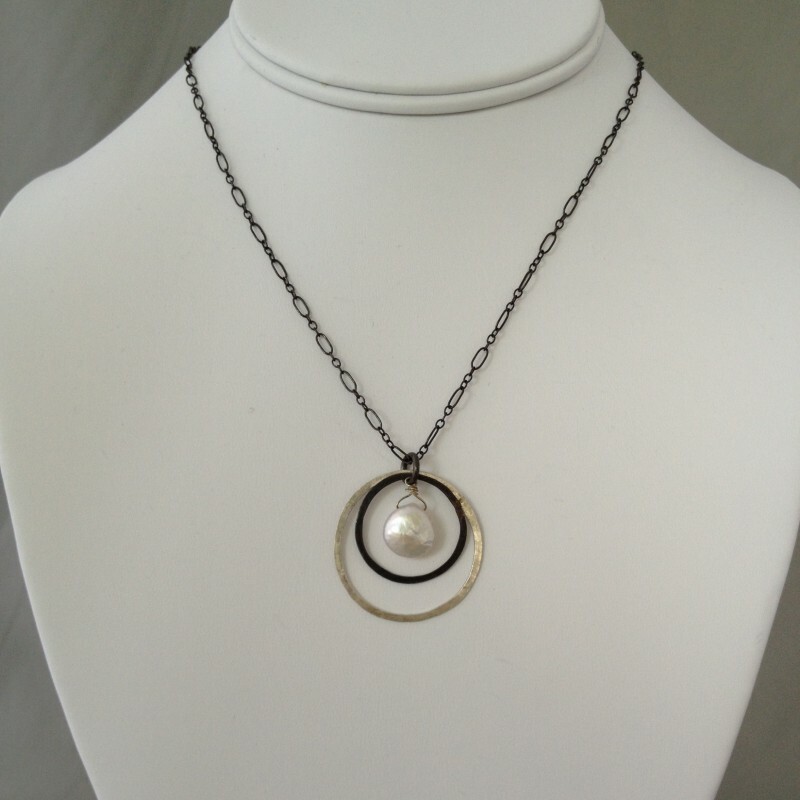 Necklace with two hoops and fresh water pearls. 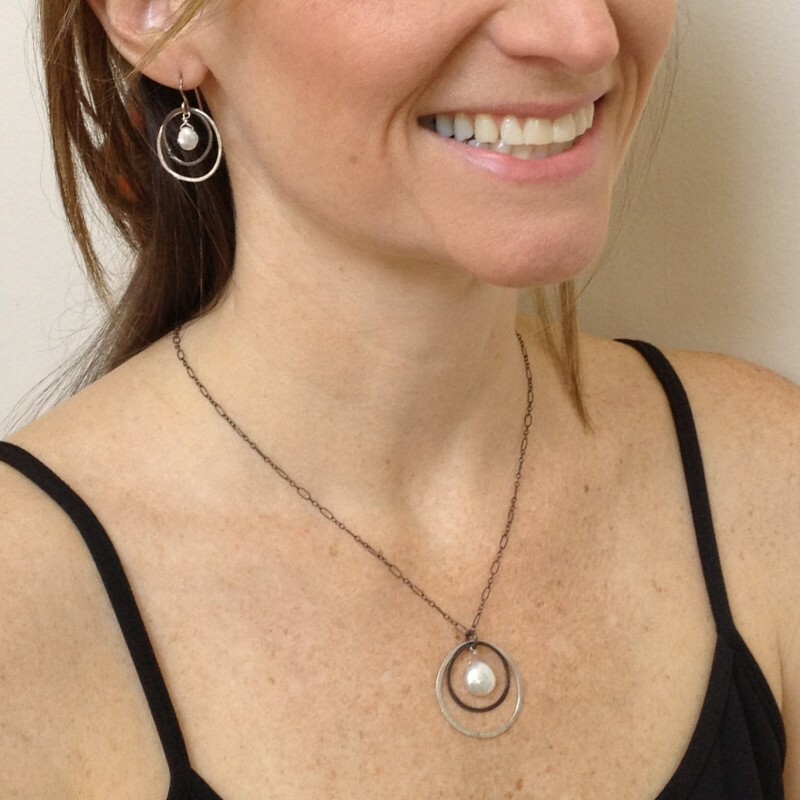 Two imperfect and organic sterling silver hoops, one oxidized and one shiny silver, encircle a fresh water pearl. Simple elegance. Easy to wear everyday and on special days. 16"-18" long. 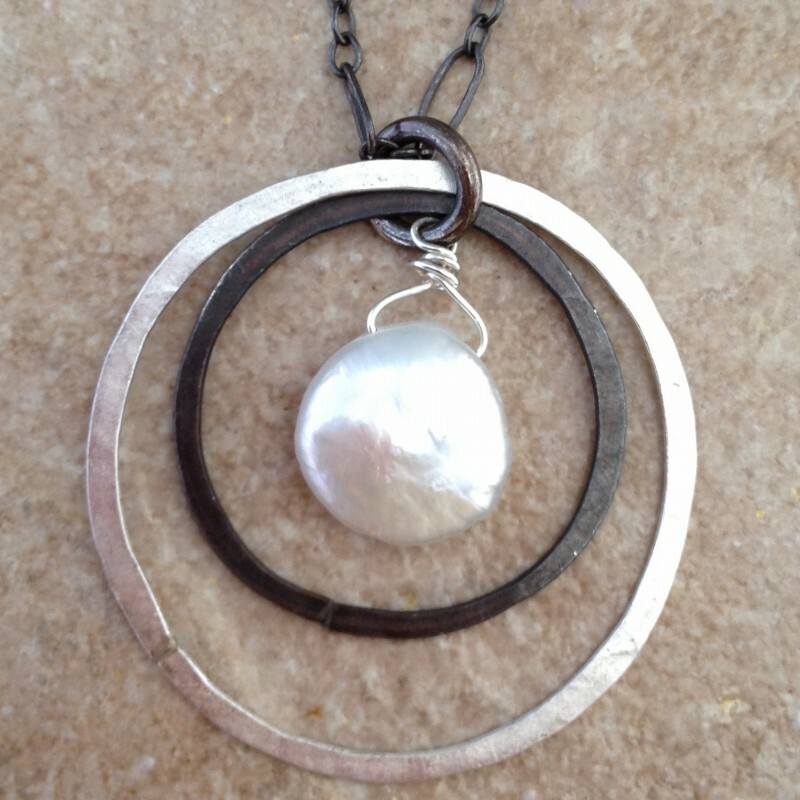 Pendant drops 1 1/4". See our matching earrings.